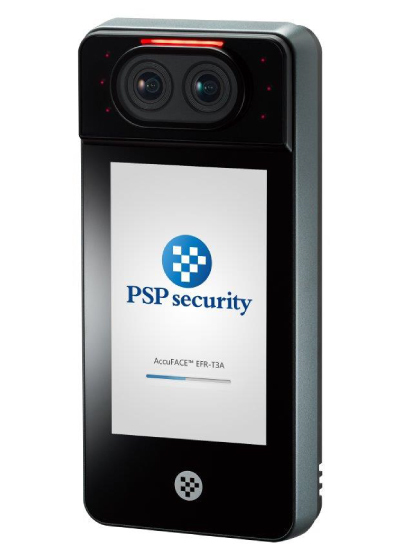 PSP Security will join this coming ISC West 2019 to exhibit our latest products and solutions, including RealYou™ series RUS-9000 multi-factor recognition system, and new version of facial recognition system AccuFACE™ EFR-T3 Mark II. Time: Apr. 10~12; booth number: "41004", (Taiwan Pavilion). Sands Expo, Las Vegas. AccuFACER EFR-T3 – a year 2017 brand new series of professional facial recognition system for your high-security applications. EFR-T3 has advanced and innovative features that address the what you care the most – recognition accuracy, user height difference, compatibility, image log capacity, and ability to learn user face. More importantly, with IdenFace3 and RealFX technology, EFR-T3 is the only facial system that you can trust to prevent 3D realistic mask and color/Infrared image hacking. HD cameras at both visible & infrared spectrums.Authenticate user in 1 sec with 99.99% accuracy. RealFX™ technology to reject hacking with photo,video image, and even realistic facial mask. store up to 100,000 users and 50,000+ log images.Perfect for large scale deployment. Encrypted and firewall protected API,transfer user & system data in lighting speed. 5" high resolution capacitive touch panel with interactive voice instruction. Minimal user training required. Built-in Gigabit Ethernet, optional Wi-Fi and Bluetooth.